Autumn is here which means Halloween is right around the corner and it’s time to make and eat and things fun, spooky, and pumpkin related. I feel like the past few years the fall/winter holidays really just blew me by. I was so busy trying to get x,y and z done that before I knew it we were on to the New Years and the only holidays I had to look forward to was Valentine’s Day and St. Patrick’s day – and to be quite honest I don’t give a toss about either of those. This year I’m going to really lean into the cozy holiday feels and try to soak up as much fun and excitement as I can. Who’s with me?! 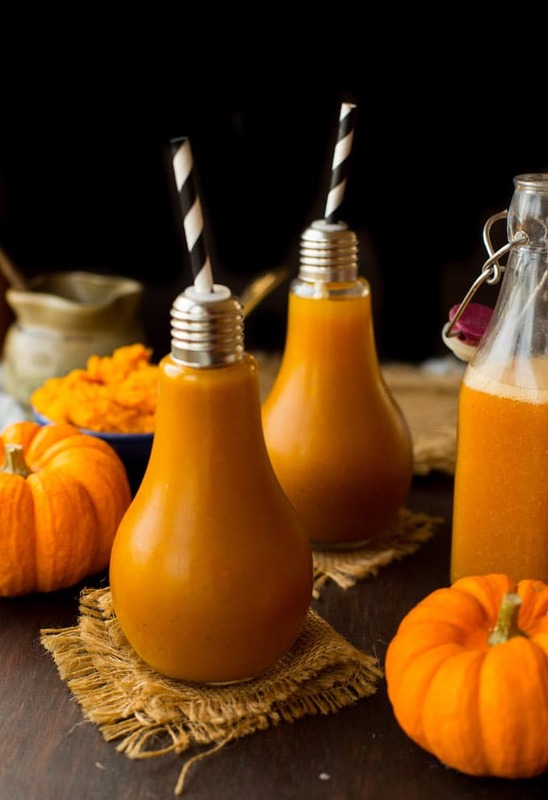 So first thing up: this Harry Potter inspired Pumpkin Juice! 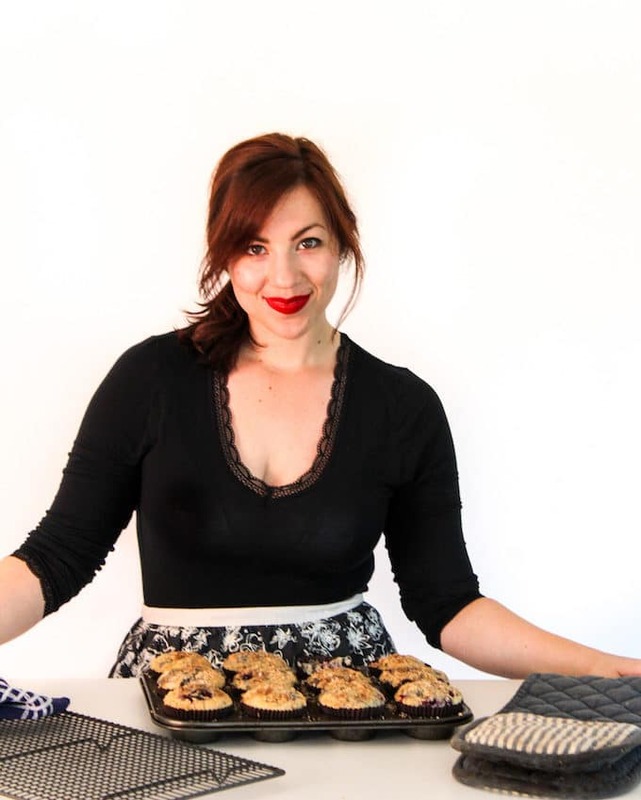 I’m really excited about sharing this recipe today because I feel like a little piece of my childhood is coming alive. I couldn’t even tell you number of times I’ve read any of the Harry Potter books. Before Kindle’s were a thing and I was old enough to drive myself to the library I used to read/reread the same books I owned over and over again whenever I was bored. Needless to say – HP got a lot of reading time. They’re like the literary equivalent of comfort food. Every time the next book in the series came out I’d read the whole series over again to catch myself up. Even after all this time it’s one I like to revisit every few years to relive some of the magic. Full disclosure: I’ve never actually been to the Universal Studios Harry Potter World where the sell the real Pumpkin Juice so I can’t say for sure if this is exactly right, but I even if not I do think it’s pretty damn close. 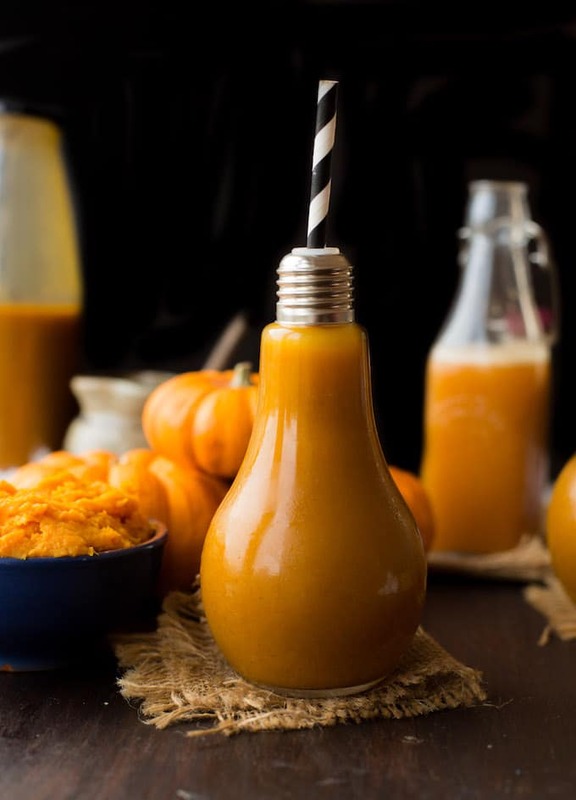 I was able to find the ingredient list for the Pumpkin Juice they sell though which is how I came up with this recipe. 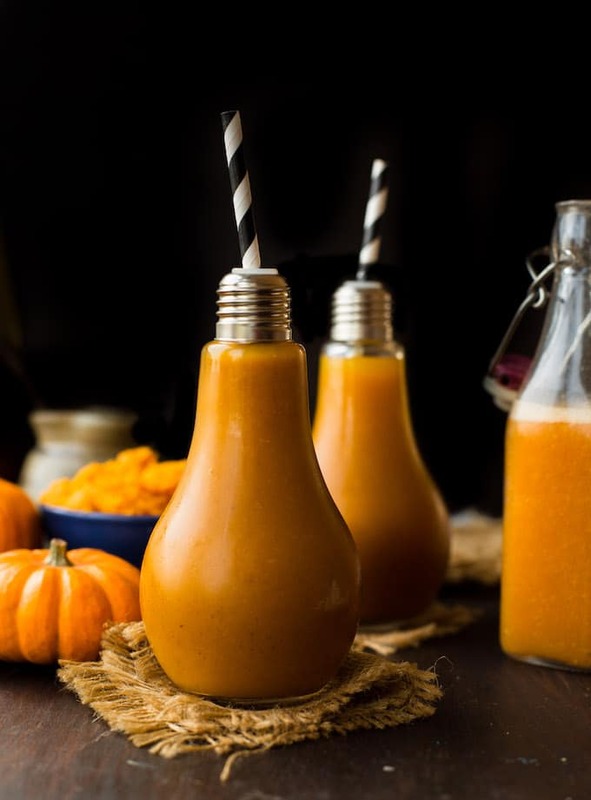 The final result here is a drink that tastes like a cross between apple pie and pumpkin pie – straight up delicious! It’s really easy to make – basically just mix it all together in a pot and then let simmer on the stove top so that the flavours all have time to really deepen and blend together. In the books pumpkin juice is always served cold, but I personally prefer it still hot and steamy for extra cozy fall feels. If you want the more authentic taste then you just need to wait for it to cool down and serve over ice. When it comes to the amount of sweetener you use – this part is really up to you. Here in the Saucy Kitchen kitchen we like to keep the sugars down whenever possible which I recommend using 1/4-1/2 cup sweetener of your choice. Start off with a small amount and add more as you taste so you can customise this to your personal tastes. Keep in mind that the type of sweetener you use may change the flavour. I really like either coconut sugar (has a faint kind of burnt caramel taste that goes well in this) or regular cane sugar for more subtle sweeteners, but if you really dig the taste of honey/maple then have at it. 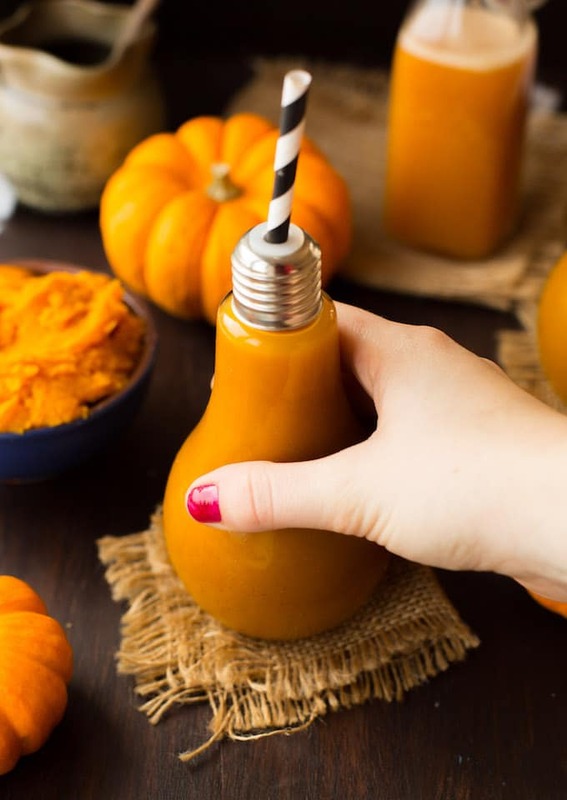 Don’t forget to #asaucykitchen on instagram if you try this Pumpkin Juice! We love seeing what you make! You can also post your pictures to my facebook page! Add all of the ingredients to a large sauce pot on the stove top. Warm to a medium heat and whisk until no lumps remains. Bring to a boil and then reduce down to a simmer for about 10-15 minutes so that the flavours can deepen and blend together. Remove from the heat and serve warm or wait for it to cool down and serve cold (as is done in the books). Bottle up and keep in the fridge for up to a week. Add the washed and pitted apricots to a small sauce pot and cover with water. Bring to a boil and then let simmer for 15-20 minutes or until the apricots can easily be pierced with a fork. Drain all but 1/2 cup | 120 ml of water and then add the apricots plus reserved water to a high powered food processor or blender. Process until completely smooth. If you don't have a blender strong enough to blend up the skin completely then pour the liquid through a strainer to remove remaining bits. Start out with adding only 1/4 cup of your sweetener. Depending on your preference you may want more or less. Keep in mind that the type of sweetener you use may change the flavour. I really like either coconut sugar (has a faint kind of burnt caramel taste that goes well in this) or regular cane sugar for more subtle sweetness, but if you really dig the taste of honey/maple/whatever then have at it.